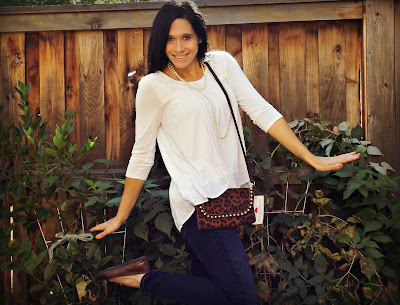 You love getting a new purse! There is something invigorating about having a new "fabulous" handbag on your arm, right? All products for this review/feature were sent to me free of charge by the company. I was not offered any monetary compensation in exchange for my honest opinion about the bags! Okay, maybe it's just me, but it always give me a sudden burst of confidence when I have a new handbag to carry...especially when it's one that is guaranteed to get noticed with lots of positive, excitable attention! 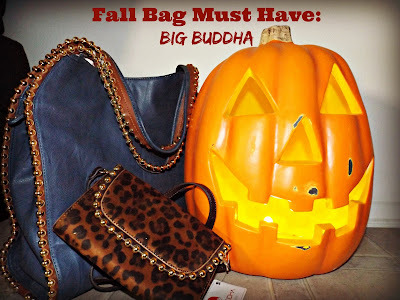 Meet BIG BUDDHA and their awesome line of trendy designer handbags! 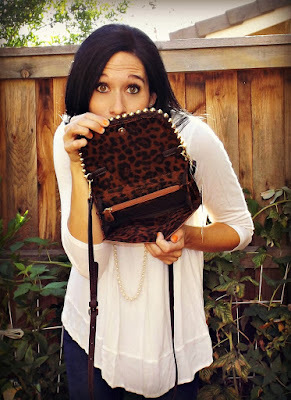 This is the BIG BUDDHA Geneva Cross Body in Leopard Print (I love leopard print). I love this bag! Why? Well, when I have somewhere to go, that only requires me to take my keys, my phone, my license to drive and maybe a credit card (it has built in card pockets), it will fit nicely and securely inside this adorable bag. Plus, it's lightweight, and super FASHIONABLE! I love it! CLICK HERE to check it out and order yourself one! The BIG BUDDHA Grayson Shoulder Bag in BLUE is large and in charge! This bag comes in several different color options, if blue is not your thing (but it's definitely mine). Accented with GOLD ball like studs on the handles and length of the purse, this handbag has plenty of attention factor. Plus, it has great built in pockets inside (with an awesome black/white lining that also stands out), as well as a zipper on the back side of the bag (the perfect place to store your phone). 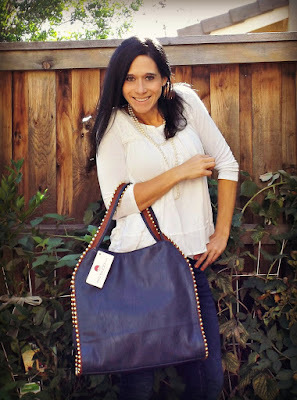 This bag is big enough to carry all my "MOMMY" needs and more! I'll be ready to store everyone's treasures and still look amazing doing it! 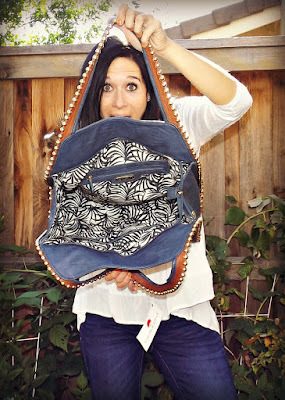 CLICK HERE to check out and order this bag for yourself! Both of the Big Buddha handbags I received are totally sharp looking in appearance, well made, and I can't wait to use them both this fall!